Dynamometer Warning System (DWS) – MJLM was selected by the U.S. Army Aviation Missile Command (AMCOM) to produce and deliver a reliability and improvement prototype for the Flexible Engine Diagnostic System (FEDS). FEDS is a turbo shaft engine test stand that allows operators and maintainers to test and verify flight readiness status of helicopter engines that are removed from the aircraft for maintenance. Some of the engine models tested on the FEDS is the T700, T63, T55, T64, and the T53. This task is officially titled “Flexible Engine Diagnostic System Reliability Improvement Program (FEDS RIP).” MJLM designed and built a Dynamometer Warning System as a health monitoring to prove audible and visible indicators when critical parameters of the engine were out of their specified tolerances to prevent any potential catastrophic failure causing human injury and/or casualty. 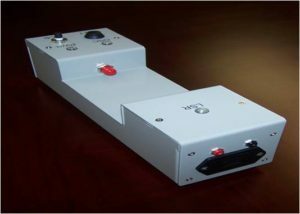 Launcher Test Station (LTS) –MJLM provides a prototype test adapter to detect the presence of an infrared signal being transmitted from the laser simulator on the HELLFIRE Launcher Test Station (LTS) for the M36 training missile test. The device was a vast cost savings tool to the Government by preventing false callouts of the missile head instead of a faulty diode. Live Virtual, Digital Word Generator (LV DWG) – MJLM Engineering and Technical Services Division, was awarded a contract from AMRDEC, U. S. Army Aviation and Missile Command (AMCOM), Redstone Arsenal, through our partner, Alabama A&M University Research Institute (AAMURI) to redesign the Low Voltage (LV) Digital Word Generator (DWG) card presently configured in each Base Shop Test Facility (BSTF) of the Integrated Family of Test Equipment (IFTE) and to deliver (3) duplicate newly designed LV DWG cards. There are ten (10) LV DWG cards presently configured in each BSTF of the IFTE. The re-design CCAs replaced the glue logic on the boards with Field Programmable Gate Arrays (FPGAs). 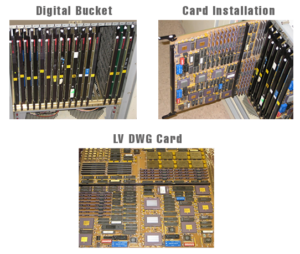 The new design significantly reduced component obsolescence decreased mean-time between failure (MTBF), and overall system reliability. 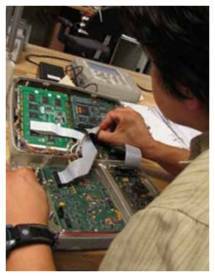 Automatic Test Equipment/Test Program Sets (ATE/TPS) Development – Over the years, MJLM has gained extensive experience supporting Automatic Test Equipment/Test Program Sets (ATE/TPS) development, test and evaluation, and sustainment. MJLM uses the computer in the Automatic Test Equipment (ATE) to execute test software written in a standard language such as ATLAS, Labview, Ada, C++, Visual Basic, etc. When MJLM develops the test software, we require a series of tools collectively referred to as the software development environment. 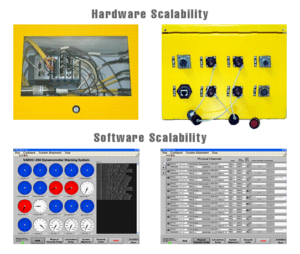 MJLM is able to configure the ATE to test both black boxes (Line Replaceable Units (LRUs)) and circuit cards (Shop Replaceable Units (SRUs)). During the TPS development process, MJLM strictly adheres and follows our ISO 9001:2015 certification standards, Government safety and quality standards, and best business testing protocols.